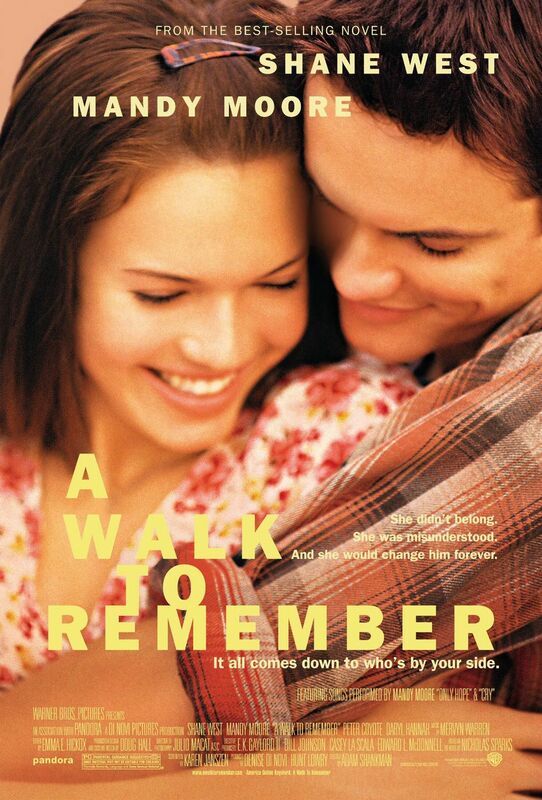 In some ways, A Walk to Remember is an inverse version of Footloose. Instead of the boy teaching the girl to dance, the girl teaches the boy. Instead of the boy being the outsider who comes into town from the big city, the girl is the outsider who has always lived in the same small town where the story takes place. Though both films begin with high school hijinks going wrong, one film begins with death and the other ends in death. Both films, though, have a minister who is the father of a beautiful teen daughter, and in both films the minister is a judgmental and fearful man. A Walk to Remember (based on the novel by Nicolas Sparks) begins with a group of rowdy teenagers getting into all kinds of shenanigans. But things get real when Landon (Shane West, Tom Sawyer from The League of Extraordinary Gentlemen), as a prank, pushes a friend into water from a great height, nearly killing him. This incident is discussed at the local church (like the town in Footloose, there seems to be only one church -- of no particular denomination -- in town. Landon squirms in his seat as Reverend Sullivan (Peter Coyote, who wore the spacesuit in E.T.) states from the pulpit, “Let us be thankful today that a life was saved by our Lord. And let us pray for the lives of the others involved who are clearly not on the path of righteousness.” The tone of the preaching is smug and condescending, and Landon doesn’t seem to be a fan. Landon goes to see Jamie’s father while the Reverend Sullivan is practicing his sermon from the pulpit. It’s an odd rehearsal for the sermon, because he just seems to be reading Scripture (Galatians 6:7: “Do not be deceived: God cannot be mocked, A man reaps what he sows”) but he’s also taking notes, as if he’s marking what words to emphasize. But Landon interrupts and asks the Reverend if he can take Jamie out on a date. “That’s not possible,” the minister replies. Though asking people to put their faith in God and putting faith in a particular person to do a particular thing are vastly different, this argument seems to win the Reverend over. And so the romance of Landon and Jamie begins in earnest. Jamie tells Landon she has lymphoma which is not responding to treatment. Landon eventually asks Jamie to marry him. They are married in her father’s church. Rev. Sullivan walks his daughter down the aisle and performs the ceremony. He reads from I Corinthians 13, the oft- quoted Love Chapter. Jamie and Landon have a summer together, but then she dies. Landon goes to Rev. Sullivan and expresses sorrow about Jamie not getting her miracle (the miracle of healing). 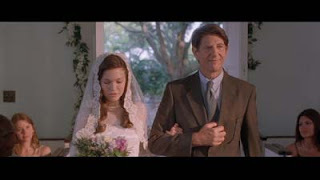 The Reverend assures him that Jamie got a miracle: Landon, her “angel.” This, one of the final scenes of the film, is the only time we see the Reverend treat Landon with any portion of compassion. It would have been nice if something besides his daughter’s death could have brought that out of him. 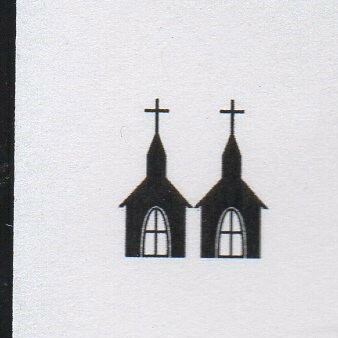 As for the Steeple ratings, the church seemed nice enough. 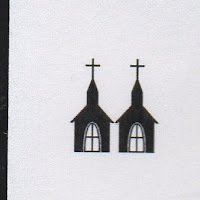 The building was your standard white wooden country church with the steeple and stained glass. There was a nice, interracial choir that sang a nice song about Jesus as a Lighthouse. But because of the Rev. Sullivan’s difficulties reaching out to the lost, I’m only giving it Two Steeples.